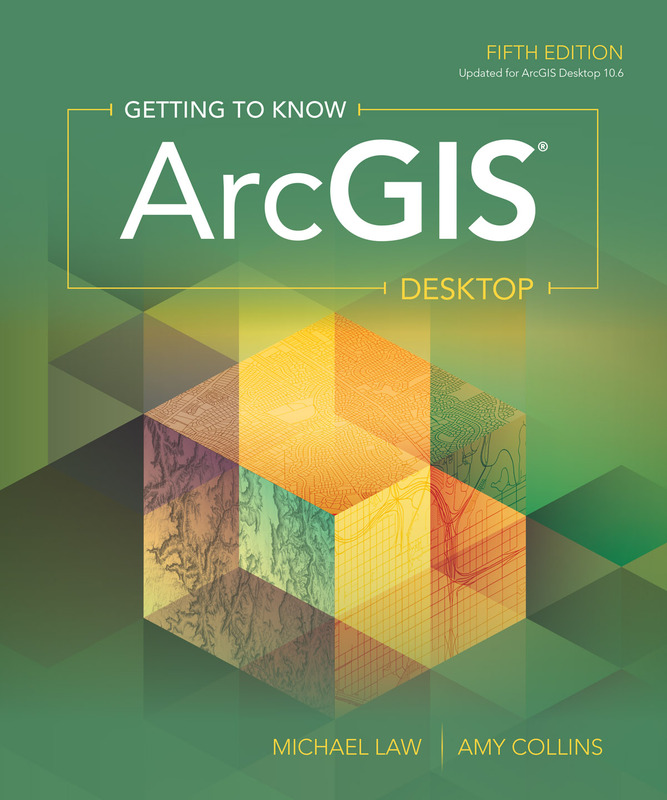 Redlands, California—Esri, the global leader in spatial analytics, today announced the publication of Getting to Know ArcGIS Desktop, Fifth Edition. The comprehensive textbook teaches the concepts of geographic information system (GIS) technology and the fundamentals of mapmaking and data analysis using the latest Esri ArcGIS Desktop software.Readers will learn basic GIS concepts and gain practical knowledge about ArcGIS Desktop tools and functionality by completing step-by-step software exercises. They will learn how to query map data, make map layouts, symbolize and label maps, set map projections, create and share web maps, build and edit geodatabases, and analyze geospatial data. This textbook, available in print or as an e-book, was designed for students and GIS professionals. The exercises were created for use in ArcGIS Desktop 10.6. The data needed to work through the exercises and a 180-day free trial of ArcGIS are available at esripress.esri.com/bookresources. E-books published by Esri do not include 180-day trial software, but free trial software is available at esri.com/arcgis/trial. Getting to Know ArcGIS Desktop was written by Michael Law and Amy Collins. Law is a cartographer and GIS professional with more than 10 years’ experience. He is a former Esri cartographer who edits and tests GIS workbooks and has designed maps for books. Collins is a writer and editor who has worked with GIS for 15 years. She is a former technical writer for Esri and continues to develop educational books on GIS. Getting to Know ArcGIS Desktop is available in print (ISBN: 9781589485105, 748 pages, US$99.99) and as an e-book (ISBN: 9781589485112, 748 pages, US$99.99). Both editions can be obtained from most online retailers worldwide. The print edition is available for purchase at esri.com/esripress or by calling 1-800-447-9778. Outside the United States, visit esri.com/esripressorders for complete ordering options, or visit esri.com/distributors to contact your local Esri distributor. Interested retailers can contact Esri Press book distributor Ingram Publisher Services.